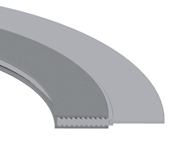 The Kammprofile (camprofile) is designed with a metal core featuring a serrated surface. 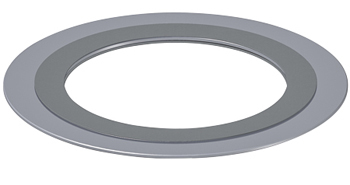 Flexible graphite or PTFE is bonded to the serrated surface which forms the sealing element. 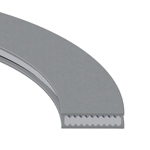 The serrated surface prevents movement of the seal within the flange, while the malleable sealing element conforms to deformations. The Kammprofile features excellent compressibility and recovery characteristics.